The Earth discovered it was living in a new slice of time called the Meghalayan Age in July 2018. But the announcement by the International Union of Geological Sciences (IUGS) confused and angered scientists all around the world. In the 21st century, it claimed, we are still officially living in the Holocene Epoch, the warm period that began 11,700 years ago after the last ice age. But not only that: within the Holocene, we are also living in this new age – the Meghalayan – and it began 4,250 years ago. 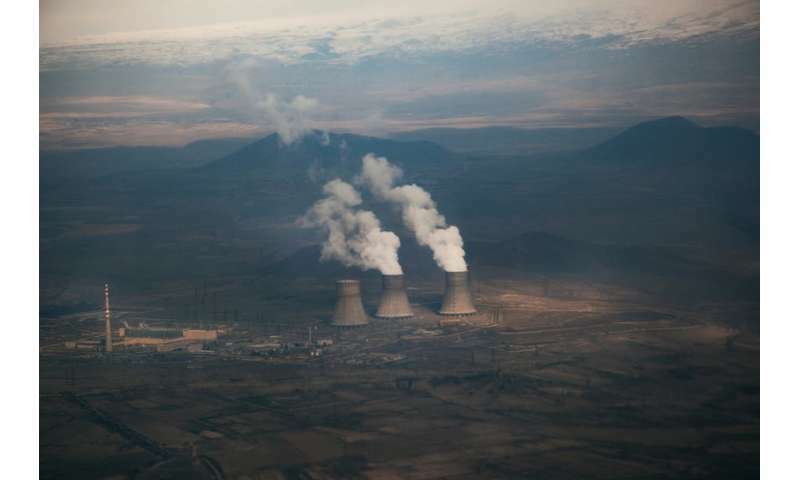 Over the past decade, more and more scientists have agreed that human impact on Earth is so significant that we have entered a completely new geological phase, called the Anthropocene, including a group convened to agree a formal definition. The world of science was expecting an official announcement acknowledging this Anthropocene Epoch, not the unheard-of Meghalayan Age. It was so unexpected it turned up zero hits on Google when first reported. So what's going on? The Geologic Time Scale is a massive achievement that divides the whole of the Earth's history into meaningful units of time representing key changes in the Earth system, typically based on new lifeforms appearing in the fossil record. 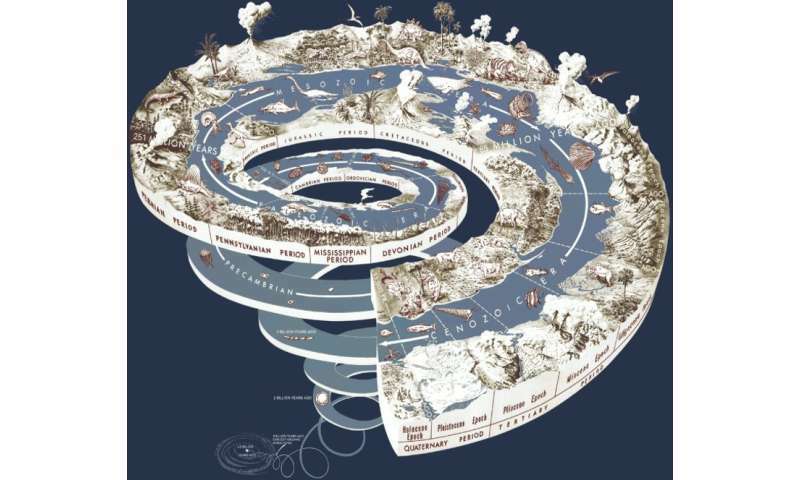 The system splits geological time into ever finer "nested" units: eons being the longest, followed by eras then periods, epochs and finally ages. The new announcement has ratified a proposal to split up the Holocene Epoch into three ages. First the Greenlandian Age which runs from the start of the Holocene 11,700 years ago, to the Northgrippian which began 8,326 years ago. This age runs to 4,250 years ago when the Meghalayan starts, and continues to the present. These more or less define the early, middle and late Holocene while completely ignoring the Anthropocene. The first problem with the new announcement is the Holocene "concept", because until humans substantially altered the climate the Earth had been in a normal interglacial or "warm" interval. There have been over 45 similar interglacials over the last 2.5m years making up a total of 10% of the time, while for the rest of the time Earth was in "cool" ice age periods. Yet no other interglacial has been given the rank of epoch, so the reassertion that we live today in the Holocene makes little sense geologically. The second problem is that the Meghalayan Age defines the "late Holocene" and the present day, but makes no mention of the human impact on the environment. The Meghalayan is defined by a mega-drought that caused the collapse of a number of civilisations in Egypt, the Middle East, India and China, around 2,250 years BCE. Somewhat surprisingly, the IUGS has referred to this event resulting in a worldwide collapse of civilisation, forgetting that tens of millions of people were living in civilisations in the Americas, Africa and elsewhere. The name of the this age comes from the north-eastern Indian state of Meghalaya where a stalagmite recovered from a cave provided chemical evidence of the drought and is therefore a marker signalling the beginning of the late Holocene. But defining an age we live in without mentioning the geological-scale impact of humans on the Earth system seems naïve. How could geologists define a normal warm interglacial phase as an epoch, and ignore the human impact when defining the geological age we live in today? What happened behind the scenes was a race between two "committees", some scientists wedded to the Holocene, others backing the acknowledgement of the Anthropocene. The Holocene scientists committee has been around for longer and has won the first round. The competitive committee structure that presides over the Geologic Time Scale has caused much rancour in scientific circles. Defining – or not defining – when humanity became a significant geological influence is highly political, and crucial in an age of ever-increasing environmental change and degradation. By ignoring the evidence and defining the present day as this new Meghalayan Age, it seems like a small group of scientists – 40 at most – have pulled off a strange coup to downplay humans' impact on the environment. What is needed is a rational debate on the time we live in that examines all the nested divisions of geological time to reach some consensus across many scientific fields. Geologists should set up a new official multi-disciplinary IUGS commission with the remit of proposing the classification and definition of this geological time we live in, to happen within two years. It would take an overview on when the Anthropocene Epoch began, whether the Holocene is still useful or could be retired, and whether the other recently defined ages should also be retired. More generally, it could make sure any recommendations are consistent with the rest of the Geologic Time Scale. This might seem like a remote debate of little significance to most people. But names have power. There is a huge difference to the story of humanity if we are living in the Meghalayan Age that makes no mention of the human impact on the environment – or in the Anthropocene Epoch which says human actions constitute a new force of nature. The Meghalayan Age says the present is just more of the same as the past. The Anthropocene rewrites the human story, highlighting the need for planetary stewardship. In our new book, The Human Planet, we maintain that in the last 500 years, science has made humans seem more and more unimportant. But far from being an insignificant naked ape in an almost infinite universe, humans are in fact the most important geological power on the Earth, the only place where life is known to exist. Yet the power humans wield is unlike any other force of nature because it can be used, withdrawn or modified. Widespread recognition that human actions are driving far-reaching changes to the life-supporting infrastructure of the Earth has profound philosophical, social, economic and political implications. Surely that is important enough to compel scientists to work together to define exactly when humanity became the new geological superpower and help us all better understand the new epoch we live in.